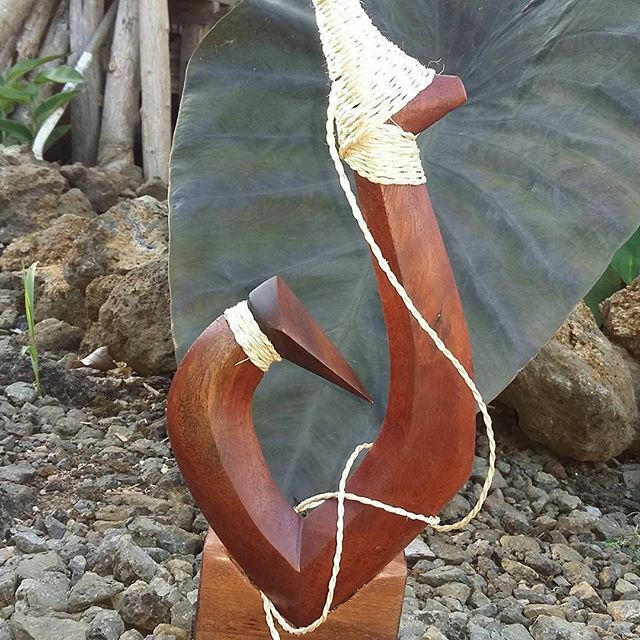 Polynesian Fish Hooks - Hawaii Woodcarving by Tevita Kunato. To order a hook, please contact me via email or phone. Scroll down to find a contact form. I also offer custom engraving for awards or special gifts. ​If you are looking for that perfect design and can't find it, try me! I will work hard to make something special for you. 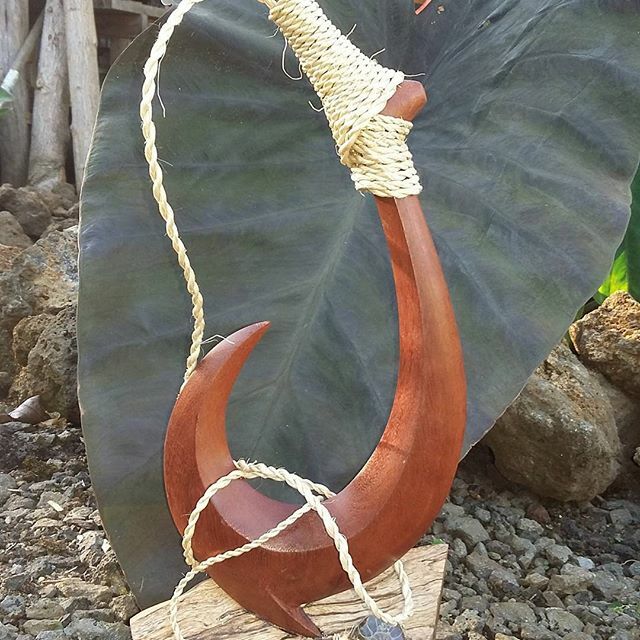 ​Elegant Curly Koa Makau with coconut fiber lashing. Koa and Quilted Maple. Coconut fiber lashing. 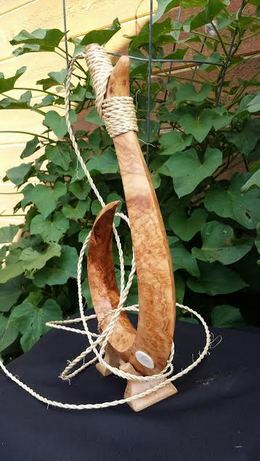 ​Large, 24" Koa Hook with Humpback Whale. 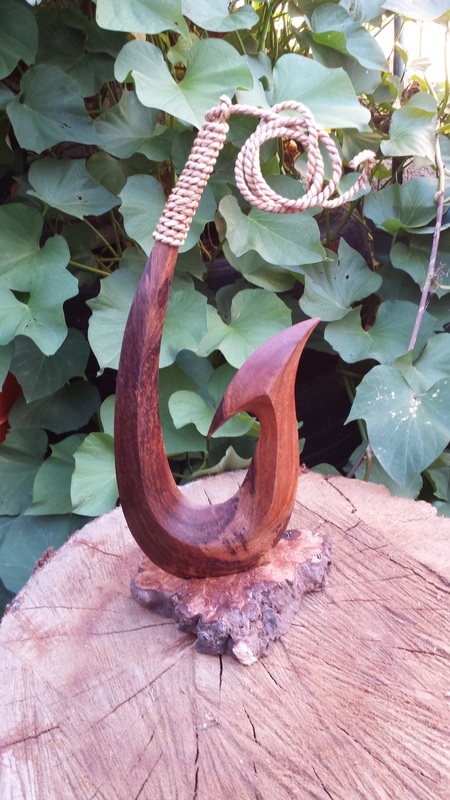 ​Cherry Burl Shark Hook with Maple wood weight. 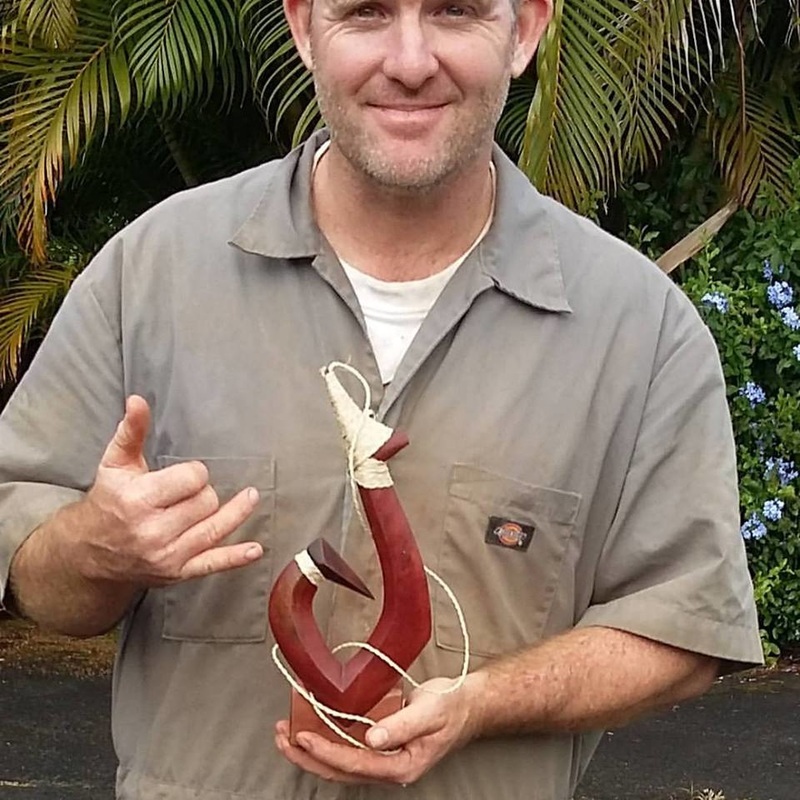 Curly Koa Makau on Stone base. Quilted Maple Hook With Mahi. Quilted Maple Hook with Mahi. Banana Fiber lashings. 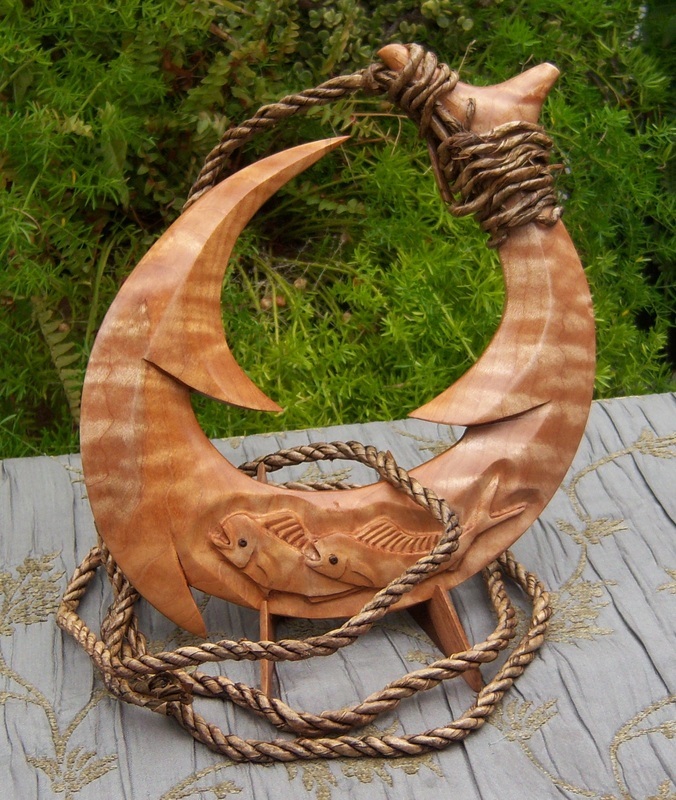 What Does a Fish Hook Gift Symbolize? 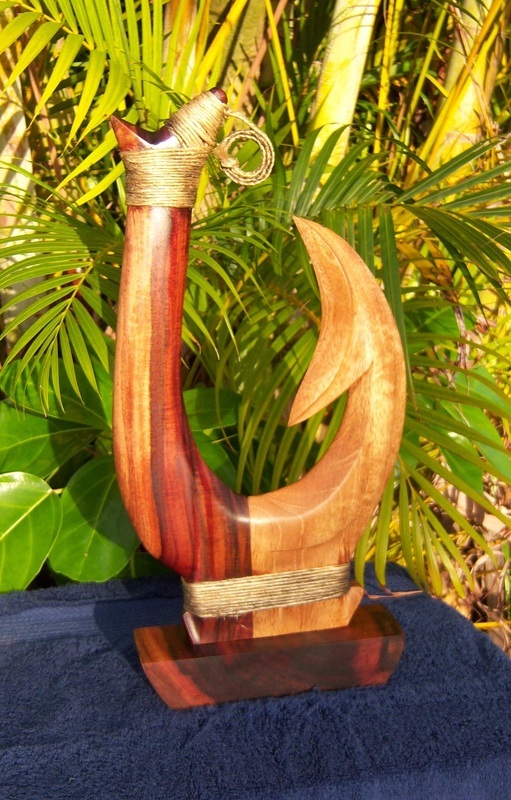 The famous 'Manaiakalani' Maui's Magic Hook is the benchmark for all large free-standing hooks. With his magic hook, he pulled the islands out from the depths of the sea. 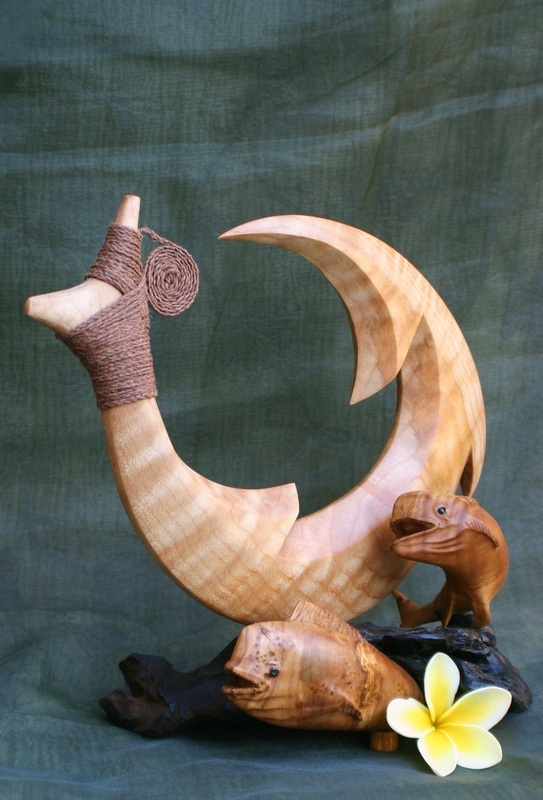 Good Luck-wishing one good luck on a journey across the sea. Proudly made in beautiful Hawai`i. I take my time on each piece to guarantee that it will be of the highest quality. I have a 15 day, no questions asked, return policy. My goal is to make all my clients totally satisfied. If you would like me to call, please tell me your time zone and what time you would like me to call.